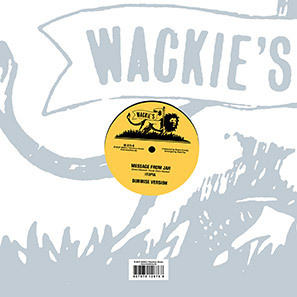 Combining two sevens - by the studio’s in-house band at this time - originally released on the Wackie’s label in 1981. Creation is an inimitable twist on tough traditionalist roots - sick synth-work takes the horns line, and later jazzily bubbles under the mix, which has the bottom end of a stegosaurus. The dub is cataclysmic and spectacular. 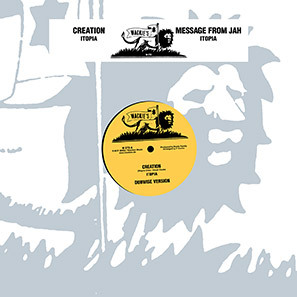 Message From Jah is more affable and soulful, the bass-playing funkier, with another ace version.